We’re a mobile culture. The days of folks living out their lives in the same neighborhood they grew up in are over. Most of us move, travel, or relocated several times throughout our lives, and this may put is into unfamiliar territory. So as we journey through this thing called life, how can we identify—and thus avoid—bad or dangerous neighborhoods. Whether you’re shopping for a house or just passing through, staying out of problematic areas can save you a lot of grief. If time allows, you can do a lot in advance. Google Maps’s street view function can tell you a lot, with the caveat that the information might be a few years out of date. Likewise, a quick look at real estate sites like Trulia can reveal a lot about the condition of the houses, property values, trends in home value and ownership. Rapid home resales, an excess of run down buildings or fixer-upper houses, cheap rentals: these all tell you that this particular neighborhood has fallen on hard times. Economic downturns don’t always lead to increased crime rates, but the correlation is all too common. Another oft-overlooked resources is the local police blotter, which often reveals months and months of crime reports. Most are searchable online now, and definitely worth your time. So what do you look for when you’re actually in the neighborhood in question? At some point, you’ll likely find yourself on the ground and needing to figure things out. Fortunately there are some visual clues that will let you know what kind of place this is. First and foremost, the condition of the houses tells you a lot. 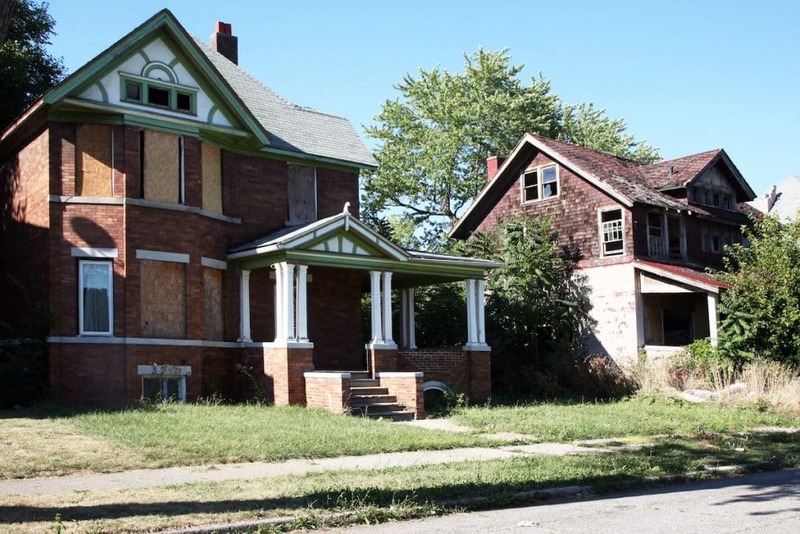 Run down homes are a bad sign, boarded up houses and storefronts are worse. Homes that have been empty for a while are a more subtle sign that something is amiss. Now, poverty doesn’t always lead to crime—I live in a low income neighborhood and things are for the most part fine. But once again, the correlation between poverty and crime is all too common, so stay alert. Like buildings, cars tell you a lot. A host of run down vehicles says something very different than crisp and clean late model cars. Likewise, abandoned vehicles are a very bad sign—not only is the neighborhood run down, but the city has stopped caring about code enforcement. This is likely not a place to live if you can avoid it. Taking a walk through public spaces gives another layer of clues. In really ugly neighborhoods, discarded drug paraphernalia abounds, so if you see broken crack pipes or used syringes you know exactly what you’re up against. Taking a look at the demeanor of the neighbors is a big tell: happy, smiling, and friendly folks generally indicate a decent neighborhood. Closed off folks tell you something else—with the caveat that some poor neighborhoods have good reason to be suspicious of strangers, who are often there looking for drugs or prostitutes. Avoiding problem areas is a key step in personal safety, so one you’ve figured out that this neighborhood might be a bit dangerous leaving is the wise move. If you’re unable to do so—let’s say financial necessity keeps you there—home security, situational awareness, and a solid personal protection plan become key. Most neighborhoods are survivable if you keep a cool head, so do your homework and stay alert. Previous articleNRA Sues the State of California!